12 year old pregnant ,53 year old arrested . A 53 old man was arrested by Kalimpong Police in connection with a POCSO act. A written complaint from one mother from Kalimpong block one was filed at Kalimpong PS that her daughter mina (12) name changed was complaining about her stomach pain. Later it was known that she was pregnant. 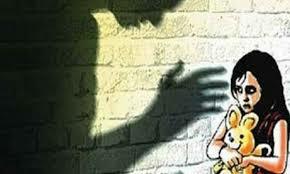 The family asked about the case to the daughter and she disclosed that she had been raped by her neighbor Basant Lamgadey. The girl has been sent for medical examination. Police arrested the accused Basant from his house and was bought to Kalimpong Police station . He has been booked under POCSO case and will be forward today . 0 Respones to "12 year old pregnant ,53 year old arrested ."